That’s according to my college tutors. Backtacking is rough and ugly and has no place in couture sewing. If backtacking was spotted in our work, points were taken off. But first: the proper way. How are you supposed to keep your threads from unraveling? Easy: just tie the two thread ends together in a double knot. This method gives the neatest results (except for the mind-boggling single thread method described further on), especially if you then sew the thread ends into the seam allowance in order to hide them (yes, manually, with a hand needle). 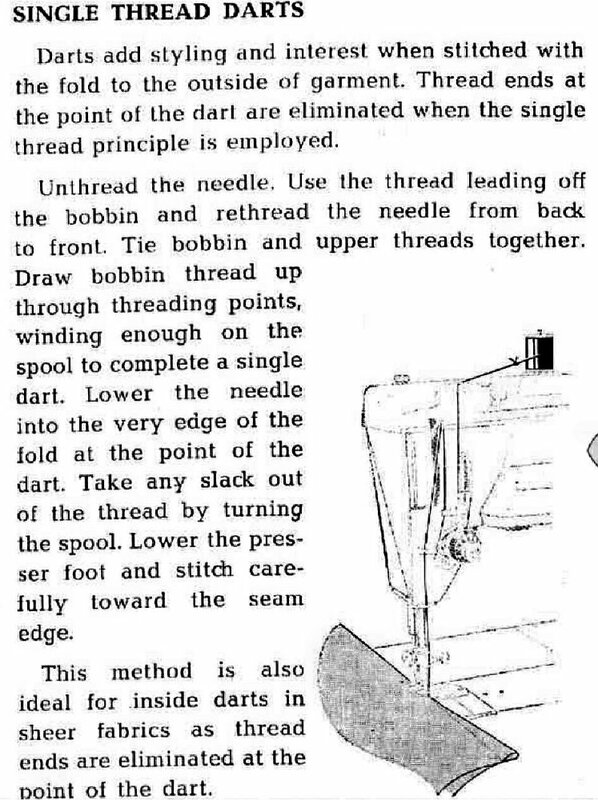 I still do the ends of darts on fine fabrics this way – it’s where every other method gives an unsightly knot. If they can’t spot it, it’s Ok! There are plenty of places where backtacking cannot be spotted, so you don’t have to go all fancy there. 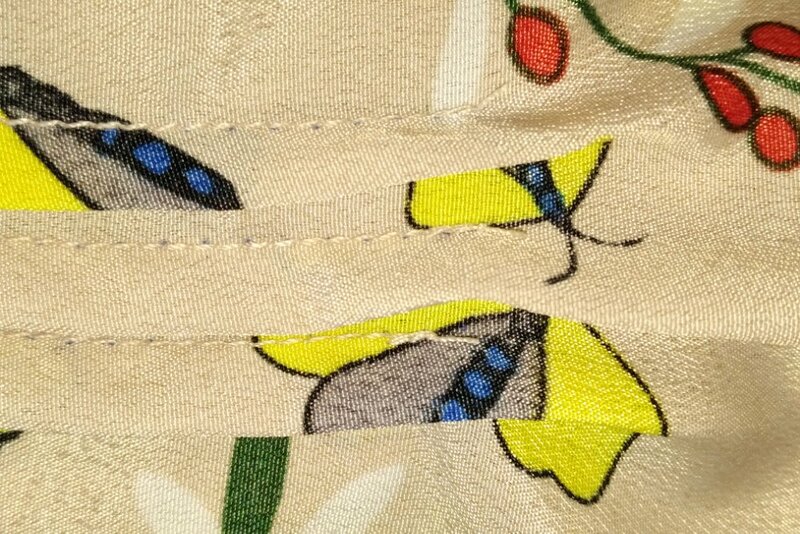 Think end of seams that are then hidden in other seams or hems – this is the most common thing in sewing anyway! So, keep your backtacks short: 2-3 stitches will do! In fact, 2-3 stitches in reverse and back again is all you need to keep the thread from unraveling. Ever noticed how computerised machines do their automatic backtacking? They make three stitches in place. It creates a knot because – in theory – you are inserting the needle into the thread from the previous stitch. It usually works quite well, except on slippery fabrics where you just end up with three stitches close together. Of course you can do the same thing yourself, too! If your machine has an instant drop feed function, just flick the switch to drop the feed and make three stitches in place. If there is no drop feed, or it is inconveniently located like on Singer 201K (under the bed) or on Pfaff Creative (next to the bobbin behind a cover inside the free arm), or it is not a switch but an extension of the stitch length function like on some of Janome’s New Home models, or if you cannot just flick it for any other reason, then all is not lost – you can reduce stitch length to zero for the same effect. Of course, this comes with the inconvenience of having to reset it to exactly the same value that you had before. You can also backtack on machines without reverse or drop feed. No, this does not involve turning around your sewing! This method makes for a very neat backtack, and can be used in most places where knots made by other “cheat” methods are just too visible. I often use it even on machines with reverse and instant drop feed. Backtack at the beginning of a seam: Make 2 stitches, bring the needle up. Lift the foot and shift your sewing to where you started. Insert the needle into your first stitch and lower the foot. Sew over your first two stitches and go on sewing the seam. Backtack at the end of a seam: Sew to the end of the seam and bring the needle up. Lift the foot and shift your sewing 2 stitches back. Insert the needle into the stitching and lower the foot. Sew over your last two stitches – that’s the end of your seam. With this method you are sewing exactly over your previous stitches which secures the thread and is practically invisible, in particular if you insert the needle exactly into the previous needle point so that your new stitches coincide with the old ones. You can cut the thread quite short – it won’t unravel. Don’t backtack – sew over! In many cases you have to interrupt a running seam, and then continue from the same spot (think bobbin thread running out again or you had to unpick a portion of a seam and redo it). You now have two loose stitch ends to secure, and four thread ends to deal with. Actually, you don’t need any backtacks at all in this situation. All you need to do is sew over some of the existing stitches – 4 or 5 will do. The thread underneath is secured by the stitches sewn over it, so it can be trimmed quite short. 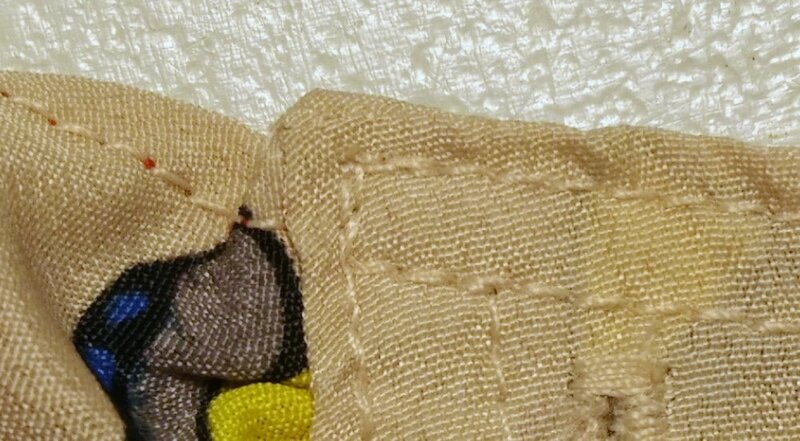 The overlaying thread is not secured, it’s true, and yet it is not likely to unravel either, even when trimmed quite short. Why? Because seams generally unravel under tension, and here the tension is being taken by the whole seam – both stitch lines working together. There is no ripping force pulling the seam apart directed at the unsecured ends of the upper stitches. However, if your thread is slippery or highly twisted, it may unravel of its own accord. Then you should backtack the upper stitching as neatly as possible and avoid such thread in the future. The problem here is that you can’t tie secure knots in it either – they unravel too. 😣 So you are left with picking up a hand needle and sewing the thread ends into the seam allowance with tiny little stitches that double up on themselves. I can think of better things to do with my time! This is an absolutely mind-boggling technique from old Singer sewing books and sewing machine manuals. It only works for the beginning of a seam and is recommended for sewing dart ends on sheer fabric. So, in order to sew a double-ended dart, you do each half separately starting from the point and sewing towards the middle. Then you tie the threads in a double knot and hide the ends in the dart. No backtacking is necessary because you have one continuous thread, top and bottom! Madness, I’m telling you. 😵 But it does give amazing results. This is some great information, though the single thread method really does have me scratching my head! Excellent article Elena and I was glad to find that I had been doing it correctly for decades! I admit to an occasional use these days of the auto back-tack on my Janome machine if I think the resulting knot won’t show and I confess to also using the reverse button method after realising that I would be the only person who would ever know! That’s the strategy I use as well. 🙂 It’s a good balance of speed and quality.